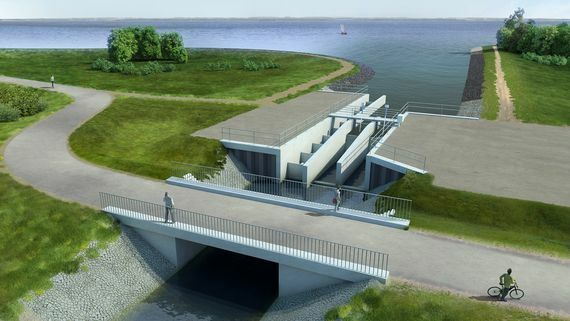 Over the next ten years a lake named "Cottbus Ostsee" will be created at the gateway to Cottbus city. With a water expanse of 19 square kilometres it will be the largest lake in Brandenburg and Germany´s largest mine pit lake, also. 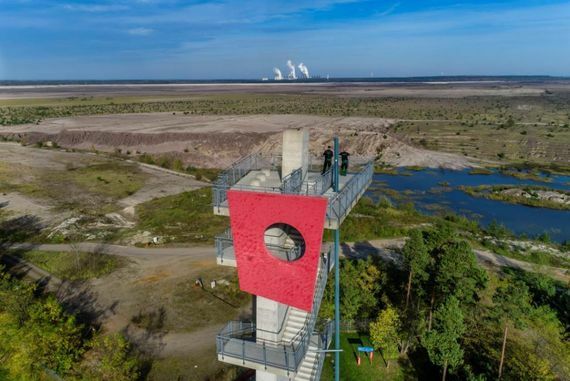 The basin of the future lake corresponds to the former Cottbus-Nord opencast mine, which is closed in December 2015 after more than 30 years lignite mining. 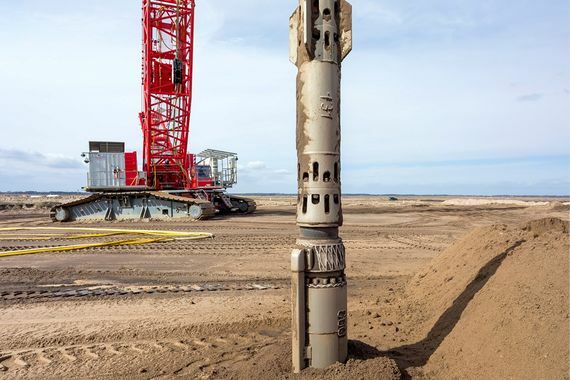 After the permitted reserves were mined from the opencast mine, according to plan a new phase of the Cottbuser Ostsee development starts. In Lusatia lakes normally follow after opencast mines. 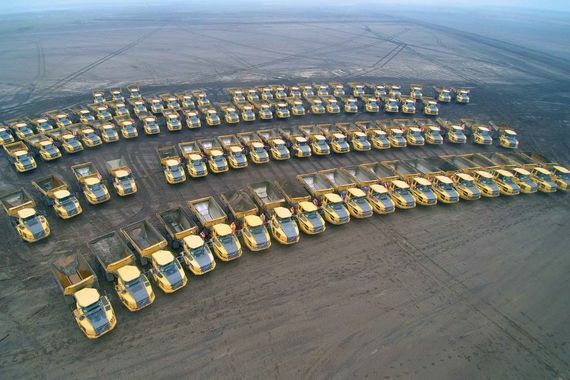 Nothing is left to chance when designing the post mining landscape. Everything is planned in minute detail, and checked by the authorities and approved. Before the water can take over, the lake basin and safe embankments have to be created. For this the south, west and northern embankments are flattened, so that the lapping lake waters do not erode the soil away. There will be earthworks to move soil within the future lake basin, so that at low water levels the minimum depth will still not be less than two metres. We will build a flooding facility and prepare the connection of the lake to the water regime in the surrounding area. The lake's eastern shore, borders on the opencast mine's recultivated areas. These have been mostly afforested after lignite mining. To stabilize this shoreline area which consists of dumped soil, so-called vibro displacement compactors are used. Vibrating lances are inserted 30 to 50 meter into the ground. They produce fine vibrations and thus compact the loose dump sand. New soil is constantly introduced, so that a resulting firm soil structure is produced. With the succession of such 'vibro columns' an underground dam wall or what is called a 'hidden dam'. It secures the soil in the shoreline areas. In April we will start with the flooding activities. It should all be completed by the end of 2018. From today's perspective, flooding will take about five to six years. The river Spree which meanders from its source near Bautzen through the Lausitz towards Berlin plays an important role. 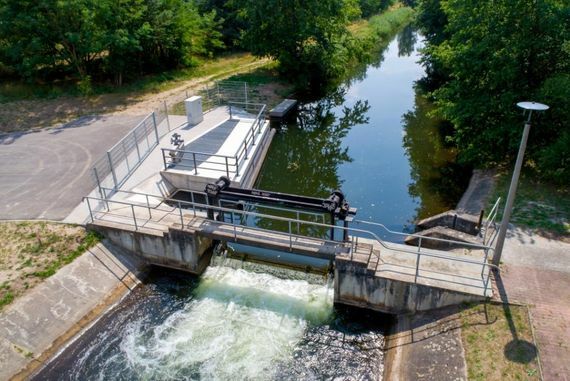 80 per cent of the water for the lake will be taken from the river by diverting the water via the Hammergraben through an underground pipe to the lake basin. However, this only takes place if the water level is high enough. This is especially the case in the winter months or when a summer flood occurs. Thus the ecological balance of the Spree does not suffer. We also consider the interests of the priority water users. The lake "Cottbuser Ostsee" should have a volume of approximately 126 million cubic meters water. 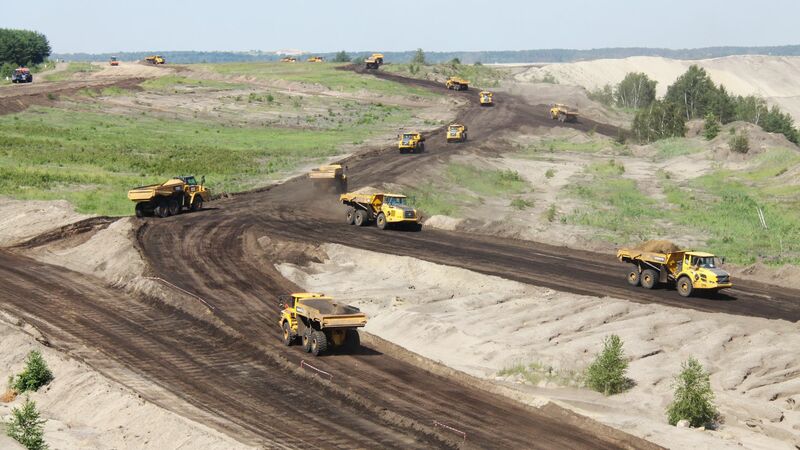 For flooding around 280 million cubic meters have been planned as a portion will seep and drain away in the dry soils of the opencast mine dumps and embankments. The Spree water will fill the lake significantly faster than the raising ground water. With its neutral pH value it will have a positive influence on the water quality on the "Cottbuser Ostsee". The Cottbuser Ostsee will provide opportunities for the region, especially for leisure activities and tourism. The southwestern to the northern shoreline zone is mainly planned for tourism. The neighbouring municipalities can create beaches or build harbours and other recreational facilities. It can also be used for fishing. Nature conservation is not forgotten: Islands with their diverse structures and shallow waters on the eastern shoreline have the potential to develop nature conservation relevant areas. In this area flora and fauna can flourish without major intervention from mankind.